Caute! Love the whole look! The shoes are awesome! I love your top and jewelry! Your smile makes every outfit complete! :) love shirts print and fabulous sneakers ! pretty and simply adorable. i love the shoes. really cute. the "love" ring + your kicks + your always amazing hair = perfection. You look fab as always, love th top. Oh my gooosh, you look so cute! I love how you dressed up those sneakers! Love the shirt! And i just love Isabel Marant sneakers! The sneakers are perfect going with the fashion.She got the look!!! The sneakers are good going with the fashion. She's got the look. I will prefer you some designer scarves with affordable prices. 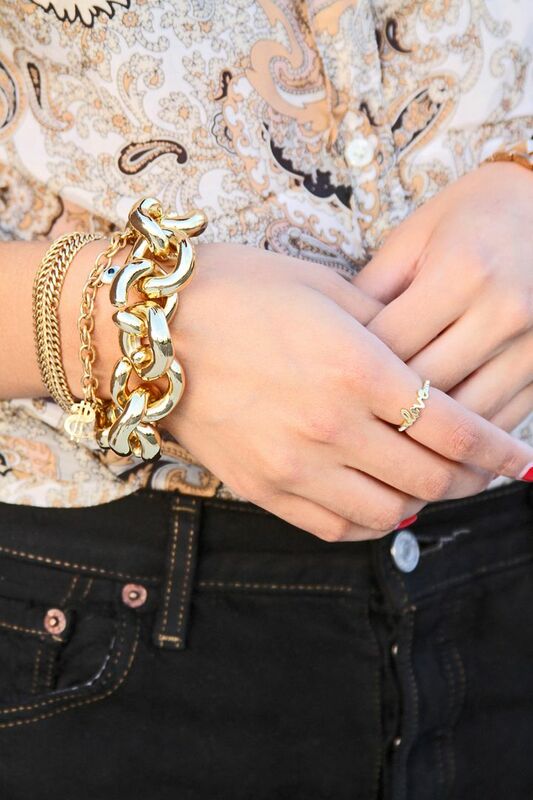 love the paisley top and the gold jewelry you paird it with!